Smartsheet reported a strong quarter and guidance yesterday. Both of the key trends we have been tracking with our text analytics platform showed significant strength: moving up-market and expanding within existing customers. However, some comments by SMAR management suggest this could be as good as it gets. Robust Quarter or as Good as it Gets? "We continue to see very strong growth in our larger customers with 6,192 now paying us $5,000 or more per year and 444 now paying us $50,000 or more per year. These customer segments grew year-over-year by 63% and 135%, respectively." "Our average ACV per domain-based customer increased 50% compared to the same period a year ago." "Our dollar-based net retention rate was 134%, a more than 200 basis point increase from the prior quarter. The majority of the increase was driven by improvement in the net expansion rate while churn declined nearly 50 basis points and is now below 10%." "Expansion within our base included 40 companies increasing their ARR by more than $50,000 and 9 companies increasing their ARR by more than $100,000." Leaving a trap door, or managing expectations? "With respect to next year, for modeling purposes internally right now, we are assuming a modest decrease in net retention rate. And that’s really being driven by the fact that one, it’s 12 months out, so there is some uncertainty there. And second of all, retention rate is impacted by 2 things. It’s landing bigger deals, and we are seeing a little bit of that now. And also, we’re comping a very strong last year, which, of course, you know is 134%." 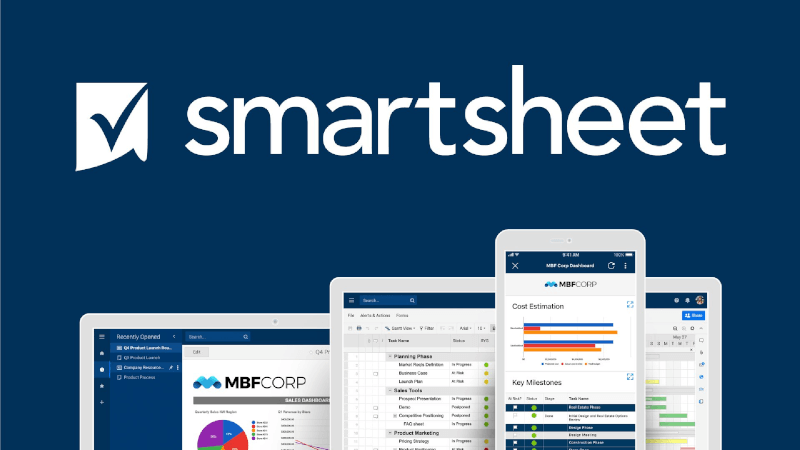 Smartsheet's Q4 earnings came in as expected from our earlier analysis, however our text analytics platform picked up on some interesting management commentary around net expansion rate that could lead to some trouble down the road. Is this a trap door or is Smartsheet managing expectations?